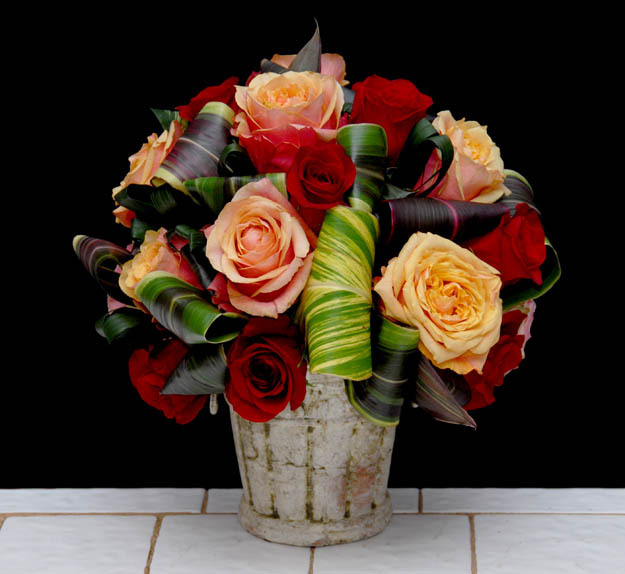 Floral Designers have been creating arrangements in glass containers for hundreds if not thousands of years. One recent trend is to take florals, place them in multiple glass containers and use them in a variety of groupings. These are wonderful pieces for event designs, reception flowers, buffet tables, entry areas and lobby floral art. Best of all they are quick, easy to do and make quite a strong visual impact.